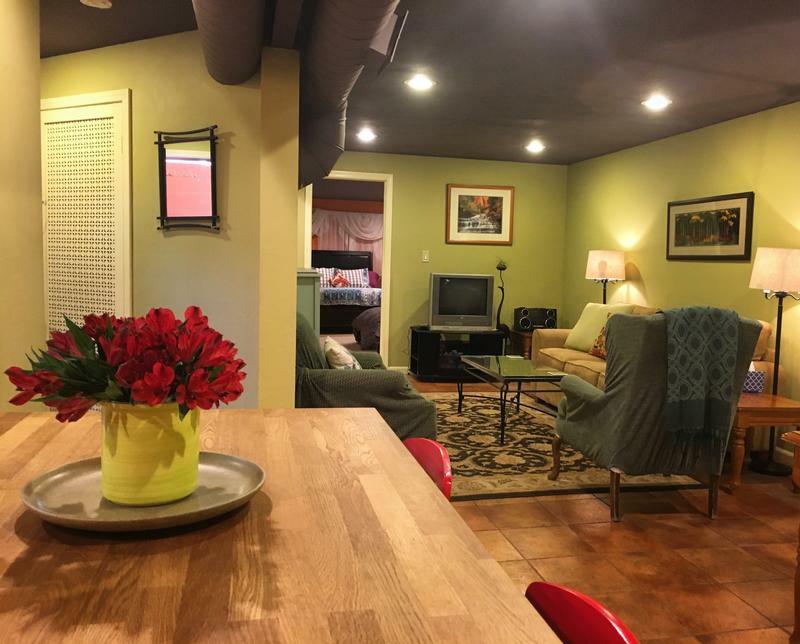 Fun, affordable lodging in downtown Moab, Utah. Casa Del Canyon, House of the Canyon, has one large bedroom with Queen bed and two twin pull out beds, TV/living room, full bath, dining room and beautiful bright kitchen. 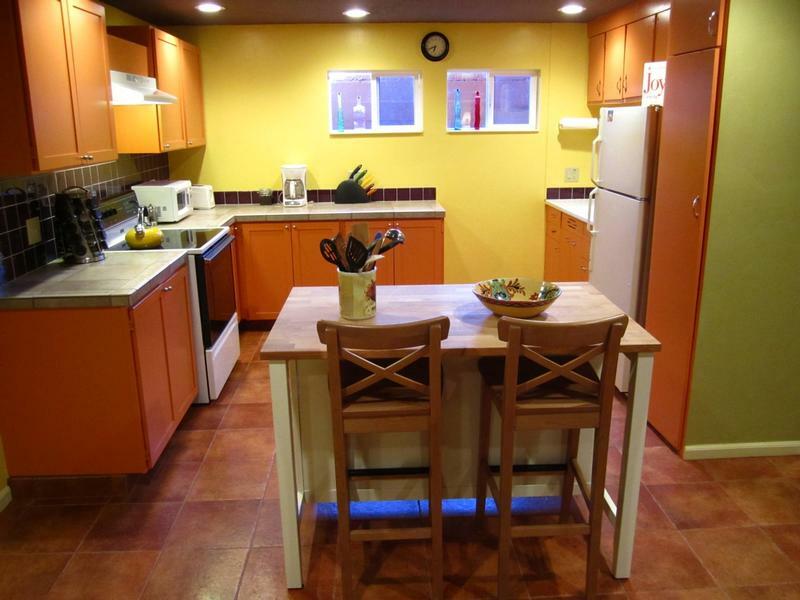 Renovated by a master craftsman in 2010, Casa Del Canyon features custom tile work in kitchen and bathroom area, with all new appliances including a washer and dryer. If you don't want to spend all that money eating out, you have a fully furnished retreat, your home away from home---your Moab House! The large backyard and barbeque area with covered patio and hot tub is shared with Casa del Sol. Wi-fi and cable TV is also included. To confirm your reservation, an advance payment equal to the first night's stay will be processed on the credit card provided. If you are making a reservation 30 days or less before your arrival, full payment will be processed, including tax. You may cancel your reservation more than 30 days from your arrival date and we will refund your deposit, minus a $50.00 cancellation fee. If you cancel or change your reservation 30 days or less from your arrival date or check out early, please understand that you are responsible for, and will be billed for, your entire reservation. If we rebook your reservation, a full or partial refund will be made.